If you are lucky enough to have a mint chassis, then, by all means, use it as-is. Chrome is a high performance plating, when done by competent platers. The original chassis was nickel plated, then chrome plated. Nickel is a decent conductor. Chrome is also a decent conductor, though not as good as nickel, but it prevents nickel from tarnishing. The nickel is put on first, polished to a shine, the chrome plated. The chrome layer is so thin that it’s transparent. You are actually seeing the nickel, not the chrome. Nickel oxidizes to a slightly yellow tint, while chrome gives it a slightly blue tint. The highest quality chassis are first copper plated, then nickel plated, then chromed, with polishing between steps. Because the surface of this ST70 sucked, my preferred process is to first media-blast the chassis, then copper plate for lower resistance and better shielding, then powder coat for a durable finish that hides imperfections. I will post pictures in part 3. Considering the use of input and output transformers, shunt voltage regulators, and class-A plush-pull circuit, I might skip the copper step. Ironically, the original tube, the 7199, was prone, in some circuits, to oscillate and pick up RFI from its high gain pentode section. That tube could (should?) be shielded to prevent that kind of problem. The 6n23p is much less likely to misbehave. 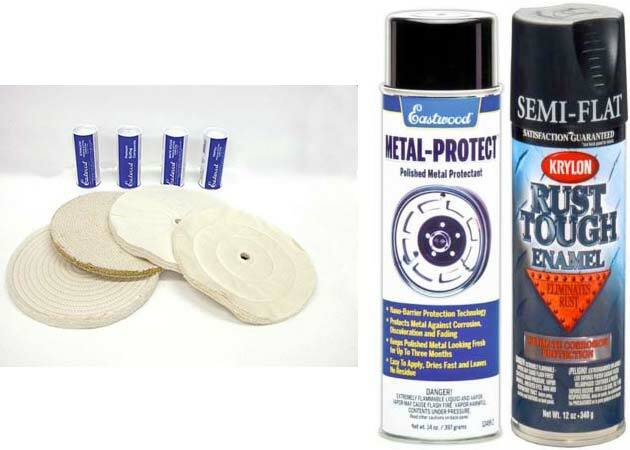 It is possible to remove minor rust with a number of alternative products found at the local auto parts store. I have used vinegar, CLR and several automotive products to lift surface rust. If you are able to remove minor rust to reveal a surface that is mostly intact, then use polishing compounds meant for chrome plated automotive parts. Repeat until you have a nice luster. If you have a bench grinder, the best option is a 6-8” buffing wheel, and very fine buffing compound. Once you are satisfied with the results, use something to seal and protect the surface. I recommend Eastwood products: http://www.eastwood.com/ Of course, it is acceptable to paint the chassis with spray paint. I like the stealth look of Semi Flat Black from Duplicolor, RTA9203, labeled “Krylon Rust Tough Enamel.” You can get this from NAPA. I’ll post pictures of the chassis in part 3. The digital multimeter can be a cheap one, though I recommend you at least buy a Velleman that can measure capacitance. There are several appropriate models, and multiple dealers for Velleman. The steel wool (the finest available) and wire cutters can come from Wal-Mart. The lead former, which helps you make nice right-angle bends, is available through several vendors (just Google “Production Devices 801”). After many modifications and rebuilds, I have found a few procedures that help me. 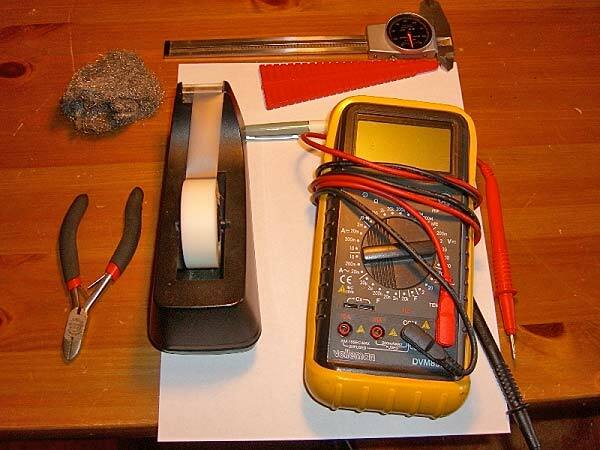 For this step, you need a multimeter, paper, tape, pen/pencil, the schematic, and the parts list. Check off every part in the parts list. Take very fine steel wool and clean the oxidation off the leads by gently pulling the steel wool away from the body of the component. Repeat until the lead is bright and shiny. Do not push toward the body, or you will bend the lead. Cleaning the leads on the components will help you get accurate readings when measuring them, will help the solder flow for better solder joints, and will give excellent metal-to-metal contact when inserting into the PC board. Guaranteeing good solder joints (low resistance), lowers noise and improves transparency. Verify that the components are the correct values with a digital multimeter capable of testing capacitance and resistance. Next, tape the components to a piece of paper, and write down the values on the paper next to the components. Even if the parts are brand new (or new old stock), they could have manufacturer defects. In the case of capacitors, they can change value and become “leaky” with age. Once you’ve done all this, you have visual proof that you are ready to go. No more getting half way into soldering, only to find out you need to order two or three resistors. In this instance, the kit came with a mixture of types, some wire wound, metal film, carbon film and what looks like metal oxide. Every component needed was supplied, minus the four coupling capacitors and several resistors that are eliminated when using the shunt regulator boards. There will be types of resistors that are uniquely suited for specific applications. I decided to use the parts supplied with the kit instead of experimenting. The resistor types and values for the board were made after careful deliberation by K&K. Build it their way first. If you want to experiment, do so after you’ve built it to specification. In the case of most stereo amps, especially push-pull designs, you will have multiples of the same part. Let’s say you need four 33K resistors, two in each channel, and the two in each channel are in opposing sides of the push-pull circuit. When you are testing the resistors, group the resistors together where pairs of components are grouped together based on how closely they match. For example: you measure 33.1K, 33.4K, 33.2K and 32.9K, so you pair 32.9K and 33.1K; you pair 33.2K and 33.4K. If you are a perfectionist, you can order 20 or more pieces of the same value, in .5 to 1% tolerance, then hand match them until you have “perfectly” matched resistors. In actuality, the resistances will change slightly as the parts break in, so you are likely to find that “perfectly” matched carbon resistors drift 2-3% different during break-in. 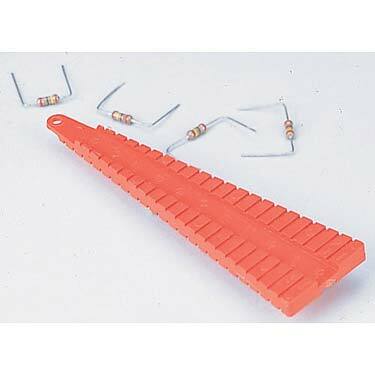 For longevity, good sound, and stability, you can use wire wound resistors. They change very little as they age, plus they have very low noise and they sound good. Another practical benefit of being prepared is that your soldering iron doesn’t take any more abuse than it absolutely needs. Leaving a soldering iron on and sitting unused for a long period can damage the tip. That’s why you need to clean and retin the tip regularly. What ever happened to the third or final part of the K & K Audio power amplifier? I’ve been stagnant with DIY while trying to get a new business up and running. I plan on sending in the final part of the story in early September. I have enjoyed your article which had my attention due to the fact I have been working with Kevin Carter putting together an st70 inspired amp with one or two modifications I required (240 volt and both 4& 8 ohm taps) for which Kevin will provide all the necessary hardware except the valves. This is something new for Kevin as up until now he has only provided the K&K board and shunts. I was interested to here your third installment, especially you final listening views, and also to hear of anything which may have proved tricky – basically using you as the mine sweeper. Please let me know how you got on and if in fact you have finished your DIY project.